In the foreground, one can see the massive stela 1. 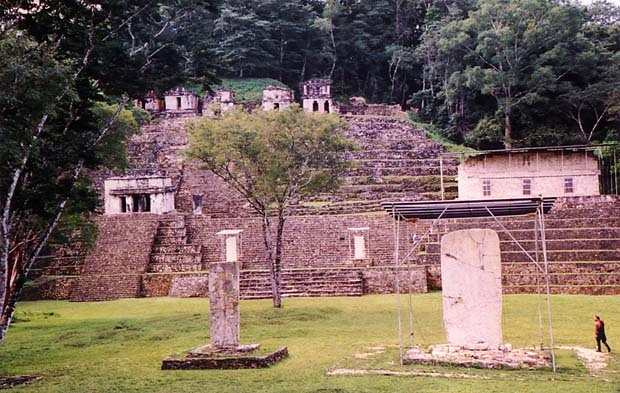 (the building containing Bonampak's famous murals). On either side of the first set of stairs, one can see Stelae 2 and 3.